Pitt contributed $15,000 to the installation of 60 surveillance cameras throughout Oakland. When any student starts college, their parents will inevitably fret about their safety. From blue-light stations to the visually present police force, Pitt promises a plethora of safety features for students on campus. Now an additional security feature has come to the neighborhood — Allegheny County District Attorney Stephen Zappala announced in an August press conference that the county recently installed 60 state-of-the-art surveillance cameras in Central Oakland, a project that cost $95,000. Their implementation was inspired by the death of Pitt student Alina Sheykhet — whose ex-boyfriend Matthew Darby is currently standing trial for her murder — in South Oakland in October 2017. “I want this to be a deterrent to someone getting hurt,” Zappala said. Since Darby was seen on surveillance cameras before police arrested him and charged him with committing Sheykhet’s murder, installing these cameras seems the best policy to prevent similar tragedies — but it’s not the best policy to keep Pitt students safe. Until Pitt starts informing students more about general safety in Oakland, these cameras, SafeRider and any other safety feature around campus won’t be effectively utilized — so they won’t protect Pitt students at all. 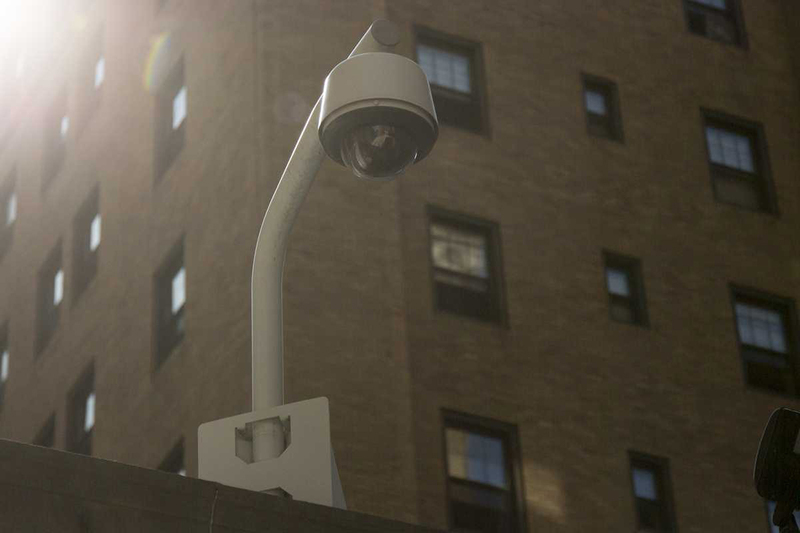 “Pitt joined in this partnership with the district attorney and UPMC to enhance safety and security in our campus community and neighborhood,” Pitt said about the installation of the new cameras in a press release. But aside from the occasional in-passing mention of the blue-light system during Pathfinder tours and first-year orientation, the University barely provides opportunities for students to learn how to defend themselves, escape a shady situation unscathed or minimize their exposure to criminal activity in the first place — all very important in Oakland, where crime rates are 31 percent higher than the national average. The first step to making safety features more accessible to students is to inform students about their existence in the first place. But until Zappala’s press conference in August — after the cameras were installed — the University didn’t mention the project at all. But University spokesperson Joseph Miksch believes the new cameras will make Pitt students safer in Oakland. These cameras will make it easier to bring criminals to justice — and higher conviction rates will likely bring down crime numbers simply by keeping repeat offenders off the street. But when it comes to stopping crime from happening in the first place, these cameras fall short. Police may never have apprehended Darby if it weren’t for surveillance cameras, but the cameras certainly couldn’t have prevented someone from committing murder — unless of course, the would-be criminal knows about the presence of surveillance cameras and elects not to commit the crime for fear of getting caught. This is only one example of where the University’s communication to students about safety falls short. The Pitt police, in addition to being a strong presence on campus, also offers a SAFE self-defense class — a program that teaches students several self-defense tactics and options if confronted by an attacker. “I don’t think the lack of surveillance is as much of an issue as the lack of safety training,” sophomore English major Hannah Woodruff said. This class is something Pitt should publicize throughout campus, but instead it sits obscurely in the “services” tab of the Pitt police website. It could equip many Pitt students with life-saving knowledge — especially since the majority of Pitt students reside off-campus and like to venture to other parts of Pittsburgh. Gabrielle Nguyen, a sophomore majoring in psychology and molecular biology who enjoys traveling around the City, said she feels safe on Pitt’s campus, but has felt unprotected at times when she ventured beyond the University’s reach. The University can’t pepper surveillance cameras all around Pittsburgh, but by teaching students how to stay safe and publicizing self-defense courses, it can ensure students will have a better handle on a dangerous situation. “Including interactive self-defense and bystander-intervention courses in the mandatory O-Week events could better prepare us for any dangerous situations we may encounter not just while we are at Pitt, but also after we graduate,” Woodruff said. Holding University-sponsored forums to talk to all students about safety and ask them what would make them feel more safe — regardless of their year — would be a great first step, too. Information for services like this and Pitt police’s SAFE program should be plastered on every telephone pole on Pitt campus. It should, like Woodruff said, also be included in first-year orientation and other mandatory student events. Likewise, if Pitt invests in a massive project like the installation of new surveillance cameras, it has a responsibility to Pitt students to inform them — doing so will help students’ safety. As an institution of learning, it should take steps to educate students on how to stay safe in all circumstances. Installing new surveillance cameras in Oakland is an approach that looks good on paper but won’t provide much security in real life. If Pitt doesn’t start educating students about safety, even a million cameras won’t protect us. Write to Sandy at smf109@pitt.edu. Editor’s note: An earlier version of this column insinuated that Matthew Darby was found guilty for murdering Alina Sheykhet — these phrases have been corrected because they are inaccurate. Darby has been charged with murder and his trial is ongoing. The Pitt News regrets this error.